If you think of writing as a quiet, solitary, slow process, think again. The actual business of putting pen to paper might be all those things but once you’re a published author you can’t really stand still. You have to be up and doing, to coin a phrase. I’m still waiting to see if my publishers are happy with the manuscript of the third D.I. Costello novel but in the meantime I’m getting on with number four and yesterday I got down to a bit of research. Now, if that conjures up an image of me getting a pain in the neck as I trawl through the internet looking for information, or developing a nasty cough as I pore over a pile of dusty tomes, not to mention writer’s cramp from the pages of notes I’ve made, well – you’re mistaken about that as well. 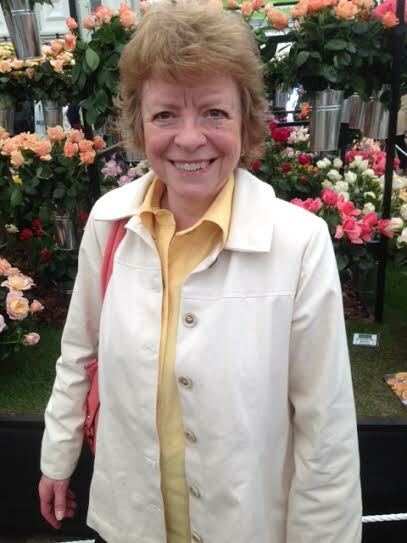 My research for the next novel in the series involved me spending a very pleasant couple of hours at the Chelsea Flower Show yesterday. This was my first trip and I hope it won’t be my last. I went expecting to be dazzled and I was. The spectacle of the gardens was just amazing. Up one avenue and down another, surrounded by beautiful flowers and plants, I just couldn’t take it all in. To cap it all the sun obliged with a very impressive display of its own. As for how this event features in a future D.I. Costello novel . . . well, you’ll have to wait and see. Is this a new take on the ‘office day out’? 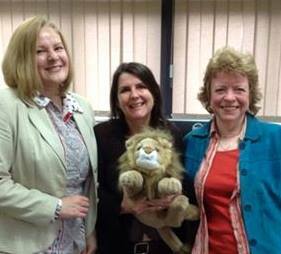 Yesterday, 14th May, I went with my fellow authors, C F Dunn and Fiona Veitch Smith to Oxford, to visit our publisher, Lion Hudson. Fiona (centre), who lives in the North East was down for a few days on a business/research trip and we decided it was too good an opportunity to pass up. Our commissioning editors, Tony Collins and Jessica Tinker, showed us all over their domain before taking us to a superb lunch. We ate at an old inn on the river Thames called The Trout. Oliver Cromwell stationed his troops there for a while during the Civil War and more recently it’s featured in some episodes of ‘Inspector Morse’, Colin Dexter’s famous detective. In fact, pictures of front covers from all the books are mounted along one wall in the main bar. As for what I’ve been up to, I’m hoping to be able to bring you news of the third Angela Costello novel very soon. 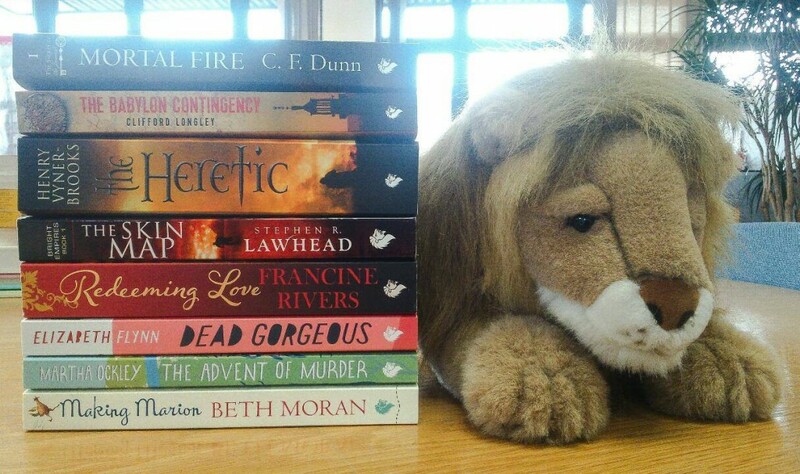 Lion Hudson are holding a giveaway for some of their books, including Dead Gorgeous. Just click on the photograph to find out more. 2014 was great for me because my second novel, Dead Gorgeous, was published in October. I had to do some research for this story because it’s set in the fashion industry and when I started I really didn’t know much about this world at all. I’m not even a person who reads magazines very often. However, that’s one of the joys of writing, you learn so much as you go along and you get to feel your way into places where you’d otherwise not venture. Happily I also had some fashion-savvy friends who helped me. So, thanks to everyone who helped to get Dead Gorgeous published and into the marketplace this year and all those of you who’ve bought it. I hope you enjoyed reading about Angela and her team’s latest case and that you’re looking forward to her next outing. If you’re an aspiring writer you probably don’t need me to tell you anything about the frustration of trying to get an agent or publisher, of submitting your work only to receive rejection slips in reply. 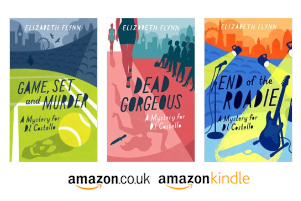 There’s no way round it: It’s a slog and it can be heartbreaking and it isn’t any wonder that many writers nowadays choose to go the self-publishing route. Whether you continue to try for a traditional deal or self-publish there is one rule that applies equally in both cases: EDITING. Good editing is vital. If you look around you’ll find there are many companies offering editorial services and you’ll soon discover some of them can be very pricey. I won’t go into any details here because you own search will tell you all you need to know. But I will recommend someone. During the writing of Game, Set and Murder I was put in touch with a very helpful lady called Ali Hull. Ali is one of the commissioning editors working for Lion Hudson, who have since become my publishers, but she was also running her own editorial service and she took at look at my manuscript and was of enormous help to me in knocking into shape. And, very importantly, her fees were extremely reasonable. Ali has now joined forces with her daughter, Sarah, to form Writers Essentials and you can contact them here. They also run courses which cover every aspect of the craft of writing. The book launch for Dead Gorgeous on 7th November went very well. It was lovely that so many of my friends and family turned out to support me.